Situated only 900 metres from Central Plaza Ladprao, C U Inn Bangkok offers air-conditioned rooms with city views and free Wi-Fi. The rooms decorated in rich tones come with a flat-screen TV, a seating area and a safety deposit box. It also comes with a refrigerator. 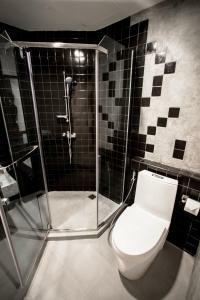 Fitted with a shower, private bathroom also comes with a hairdryer and free toiletries. 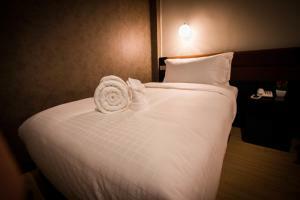 At C U Inn Bangkok, guests will find a 24-hour front desk, a restaurant and laundry services. The property offers free private parking. 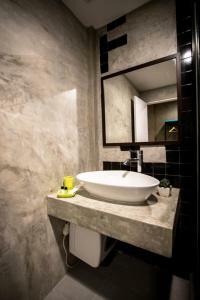 The hotel is 1 km from BTS-Mo Chit and only 1.5 km from Chatuchak Weekend Markets. Suvarnabhumi Airport is 24 km away. 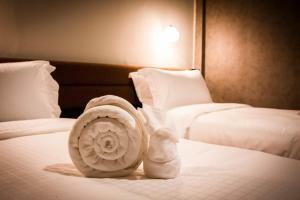 Rate: THB 1548.00 ... THB 1748.50; select dates below to get current rates. 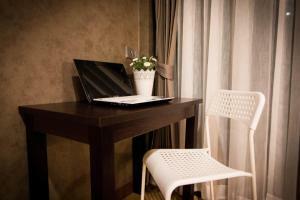 Offering more space, this twin/double room has a cable TV, air conditioning and seating area.